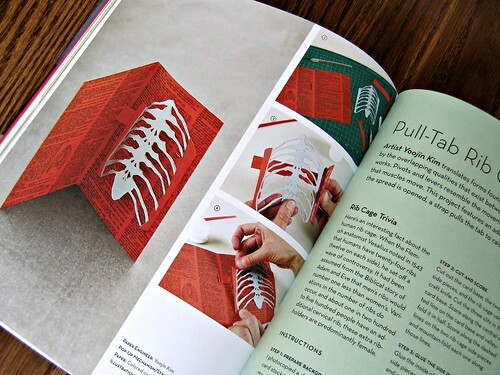 Every now and then I find a just-released paper craft book in my mailbox... definitely a nice perk of blogging lo these many years. Quite a few titles arrived this spring as publishers have responded to the surge of interest in paper. Here's a brief introduction to four new books and a kit. 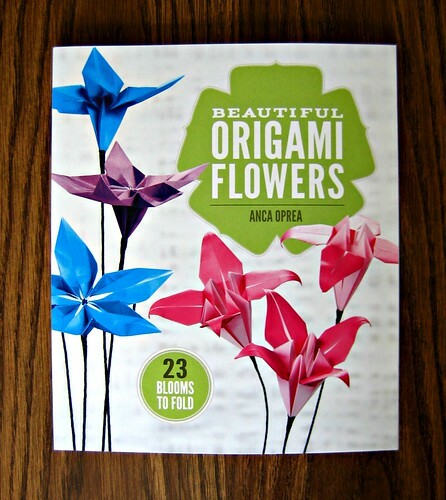 Beautiful Origami Flowers: 23 Blooms to Fold by Anca Oprea from Lark covers the tempting art of paper flower folding. 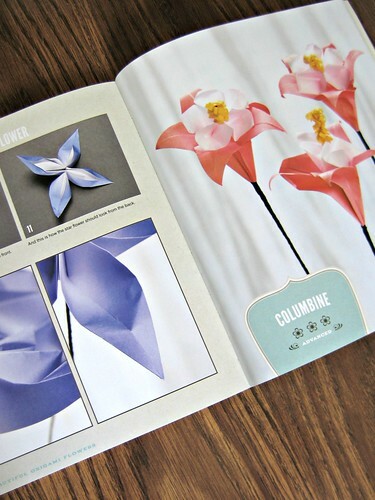 The designs offer both surprisingly realistic models - the morning glory, columbine, tulip, and calla lily especially caught my eye - and others that are mainly imaginative. Directions are clearly detailed with text and photos. There's also a nice amount of information on supplies and folding techniques. 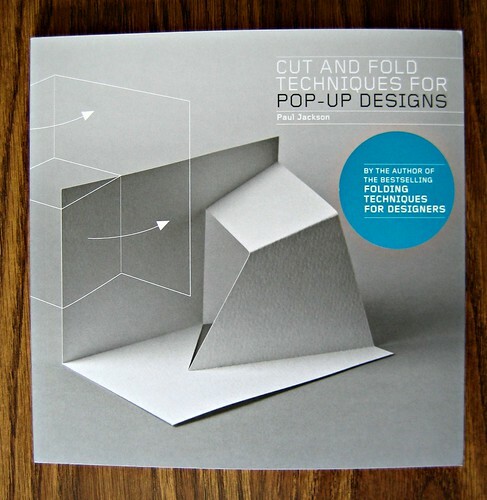 Cut and Fold Techniques for Pop-Up Designs is a Laurence King paperback by prolific designer Paul Jackson. 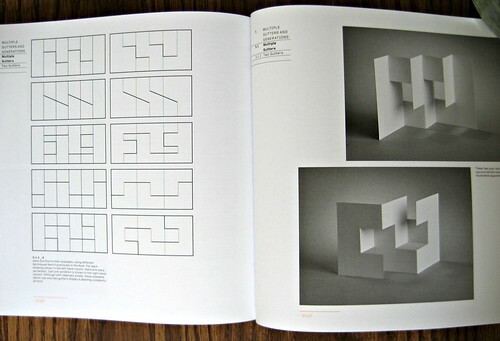 It was just a year or so ago that I reviewed another paper engineering title in this series by Paul, Cut and Fold Techniques for Promotional Materials. 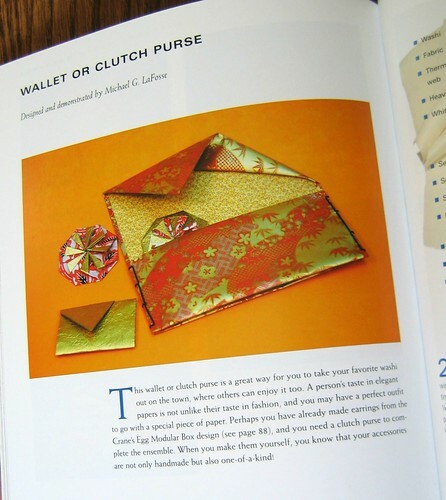 I like that the book starts out with instructions on how to best use the contents, moves along to the particulars of cutting, which tools and paper are best, etc., and then shows ideas for making one sheet pop-ups that anyone from a hobby crafter to design student to marketing professional will find useful. 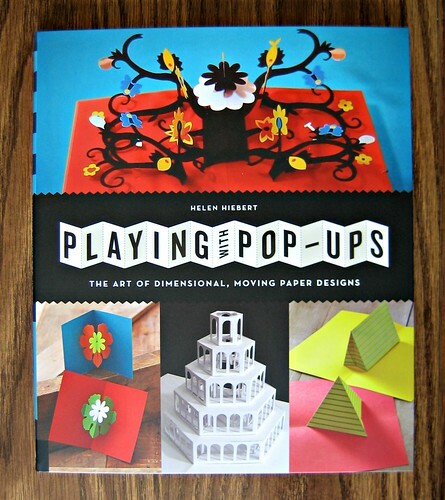 Playing with Pop-Ups - the Art of Dimensional, Moving Paper Designs by Helen Hiebert for Quarry Books offers projects from a variety of artists that will appeal to all ages. I enjoyed learning about the history of pop-ups and found the earliest examples fascinating. Pop-up terminology is explained and supplies are detailed. A few of the projects are quite easy, while others require more time and thought. Templates, photographs, and paper recommendations for each example are included. If you aren't already familiar with Helen, an enthusiastic paper maker and artist, I think you'll enjoy her blog. I especially like the Sunday Paper feature in which she shares paper-themed news from around the world. 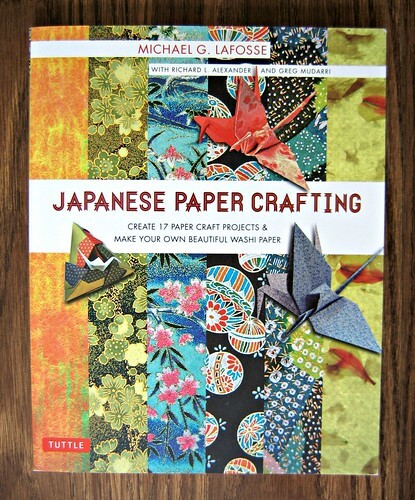 Japanese Paper Crafting is a re-release of the 2007 book for Tuttle Publishing by Michael G. LaFosse with Richard L. Alexander and Greg Mudarri. With paper crafting so hot, and washi practically a household name thanks to the popularity of washi tape, I can see why they would bring this one out again. The included history of washi and detailed instructions for making your own are informative, and the projects have an elegance due at least in part to the use of such gorgeous paper. 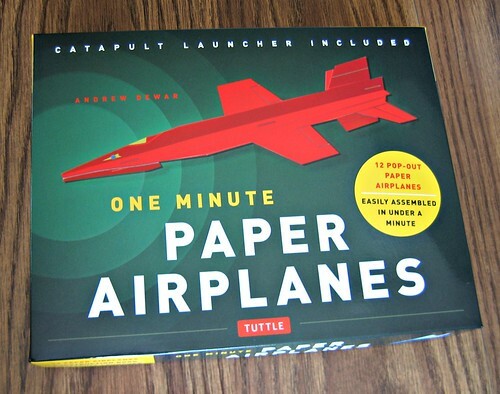 Lastly, Tuttle's One Minute Paper Airplanes Kit: 12 Pop-Out Planes, Easily Assembled in Under a Minute by Andrew Dewar contains a stack of colorfully printed pop-outs to make a dozen card stock planes, a rubber band catapult launcher, and step-by-step instruction booklet. 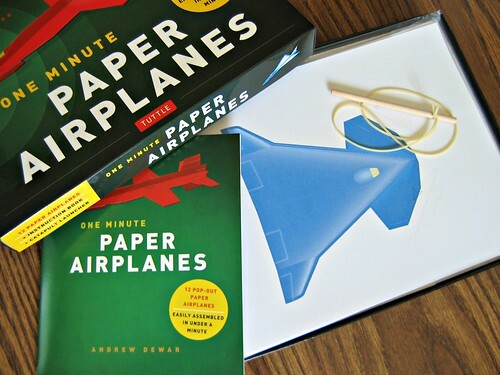 As an author with more than thirty books to his name and two other airplane kits, you're in the hands of an expert. No complicated folds or glue are required - only a stapler. My young nephews will have a blast with this one. Summer is such a great time for both kids and adults to try out new crafts... just think, you might find a project that will start you on the path to making this year's holiday gifts! The flower folder looks like fun! That pop up one looks pretty interesting. Salivating here... thanks so much for giving us a teaser Ann! Ya I was also drawn toward the pop -up book ! Gotta find time to make it to the bookstore now. Good stuff! I have been buying lot of books on quilling and paper crafts after I bought your book. I love opening the books and finding something new each time. Thanks for all this information Ann.